It’s the blanket I started for my nephew, Galactus, Eater of Worlds. Well, I took Jacqui’s excellent advice and blocked it, and it still looked wrong. 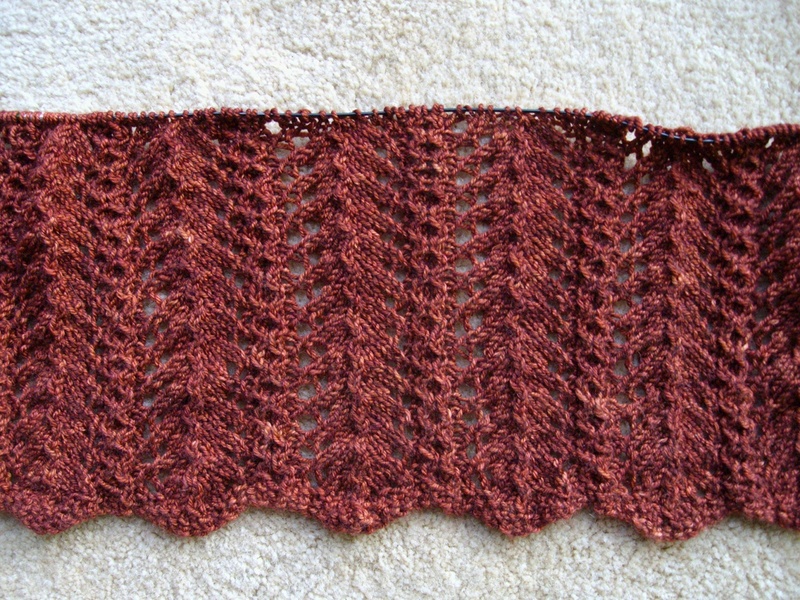 That pattern with a plainer yarn or that yarn with a plainer stitch — either would be lovely. That yarn and that stitch together were just too much fancy all in one place. Perfect for a shawl, maybe, or the bottom of a summer top, but for a baby blanket? No. I started again. I’m thinking a semisolid/almost solid medium to light moody grey with some blue in it. Or some green. Or some blue-green. A northern ocean on a stormy day. (In my mind, the North Pacific would be greenish, the North Atlantic blueish.) A tidepool in limestone under clouds. The sky just before a tornado. like she’d plucked the colour right out of my brain. So, a year late er…just in time for Christmas, as intended, the blanket was finished. Now that’s the blanket I wanted to make. And the other yarn? That rusty orange gorgeousness? It did look better in stockinette. Wow, the color and the stitch both evoke the ocean! It’s neat, isn’t it? 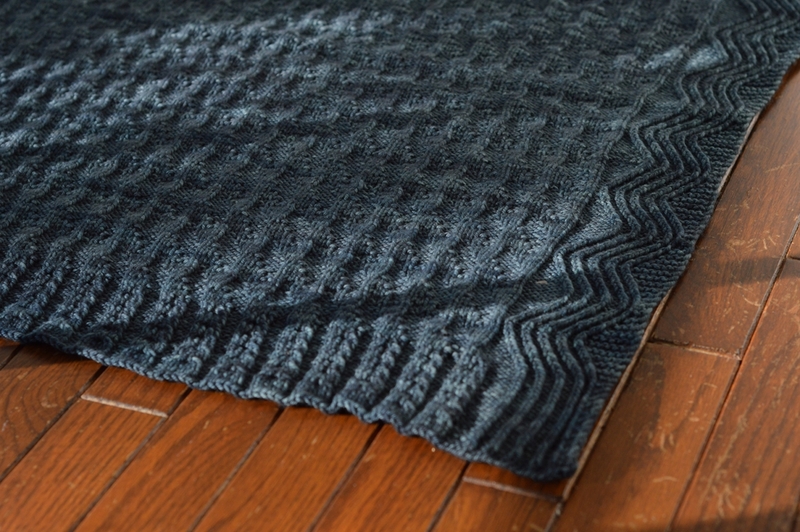 A very happy marriage of stitch pattern + yarn. I tried it with a couple of other yarns and it didn’t work nearly as well. Stunning. I love the rippling ridges at the edge. 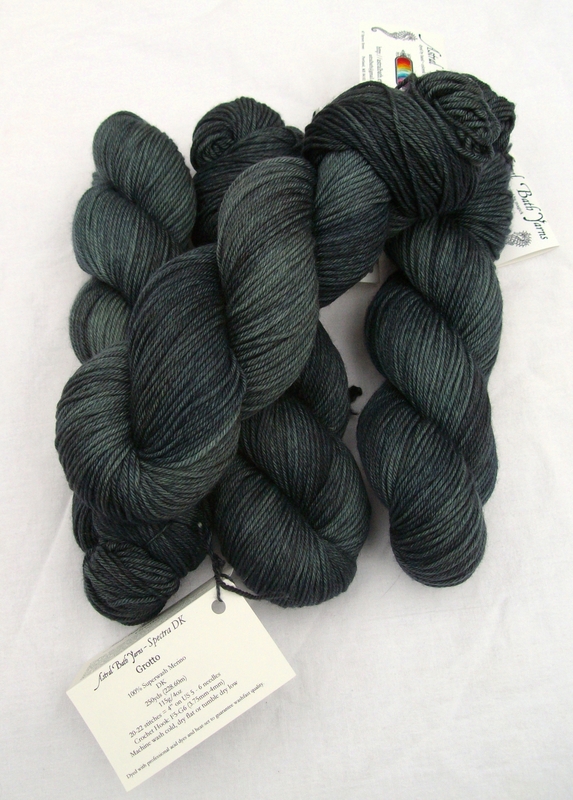 I love that really rich grey yarn. Beautiful work.